A Ducati motorcycle gifted to 1992 Formula 1 world champion Nigel Mansell him by Ferrari heads to auction in 2019. A file accompanying the sale, organised by Silverstone Auctions, includes the Treasury Export Certificate confirming Mansell’s ownership, the V5, old MoTs, receipts and literature that relates to the bike, including a copy of a page from Mansell’s autobiography. 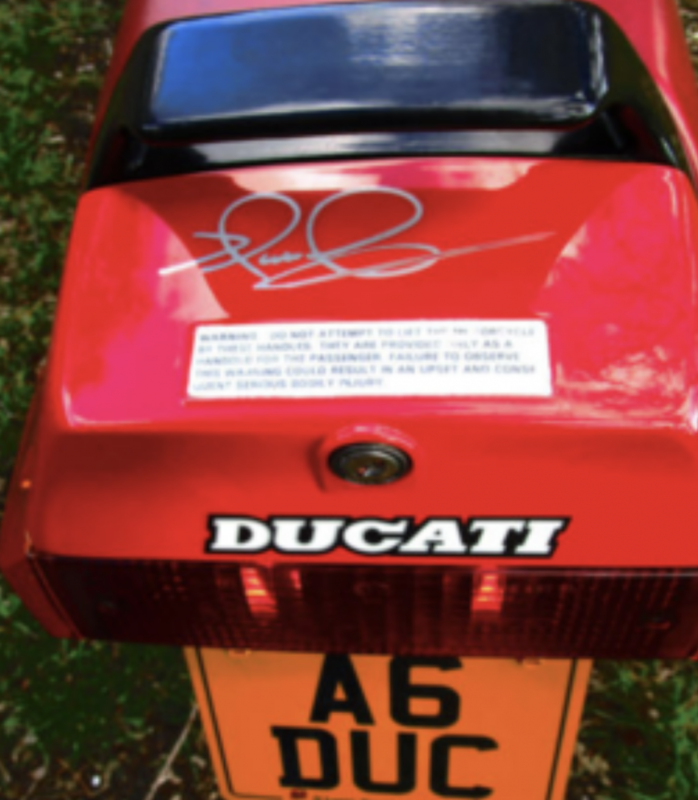 Mansell signed the tail-cover of the bike before passing it on, and it has covered 22,000km since being delivered new to the Englishman. The Ducati Paso 750 was introduced in 1986 to honour the brave Italian motorcycle racer, Renzo Pasolini, nicknamed “Paso”, who died on the 20th May 1973 in an accident at Monza during the Italian Grand Prix. 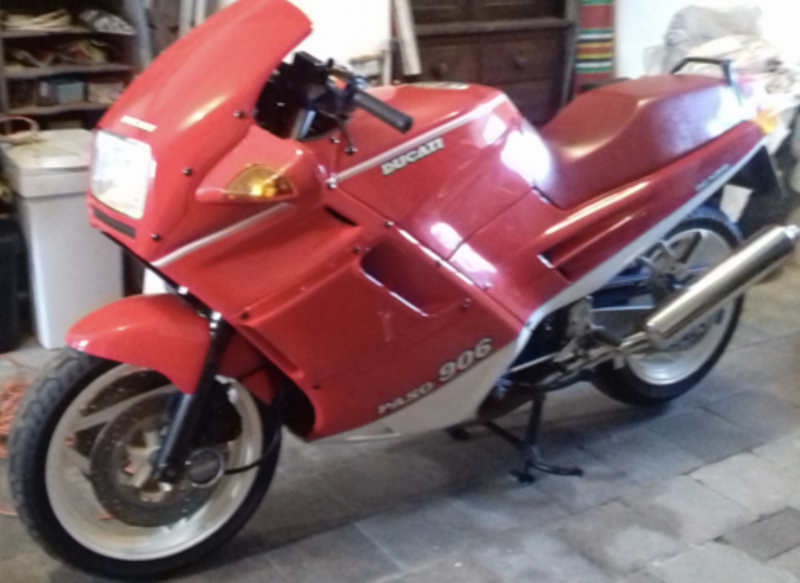 In 1989, the Paso 906 was introduced to replace the 750, with a six-speed gearbox, a 904 cc engine providing 88bhp and a 140mph top speed, and for the first time ever, water-cooling. The Paso 906 was a significant bike for Ducati, their first to really aim at a slice of the mass market dominated by the Japanese. Although firmly committed to the merits of a V-twin, Ducati realised that the days of their air-cooled, two-valve, Desmo were strictly numbered. They needed more power and efficiency, and increasingly stringent emission controls didn’t help either. Their bikes were too noisy but, worse still, their exhausts pumped an awful lot of damaging hydrocarbons out into the atmosphere. Ducati needed to clean up and refine their act, attracting new customers whilst hopefully not alienating traditional Ducati enthusiasts. The Paso 906 was their answer to this challenge and is in many ways a transitional offering between the fabled ‘Dukes’ of old, the 750 and 900SS, and the truly fabulous bikes yet to come like the 851 and 996 superbikes. Although it looked like a million dollars, the 906 Paso received a fairly cool reception from road testers and buyers alike. It was just too different from the old Ducatis to attract the cognoscenti (or Ducotisli), yet it wasn’t sufficiently different or notably fast enough to attract buyers away from the plethora of big Japanese multis that were arriving on the market. The Paso’s looks certainly impressed Mansell who, on a visit to the Ferrari factory, for whom he was driving in Formula One in 1989, was attracted to a new Paso 906 in the corner. It was his first year with Ferrari who are known for their generosity to their drivers, at least in the early stages, clearly illustrated by the occasion when, having admired a Testarossa in the car park at Maranello a few weeks earlier, a brand new one arrived at Nigel’s home address a week later. His ownership of this Ducati was equally unexpected. 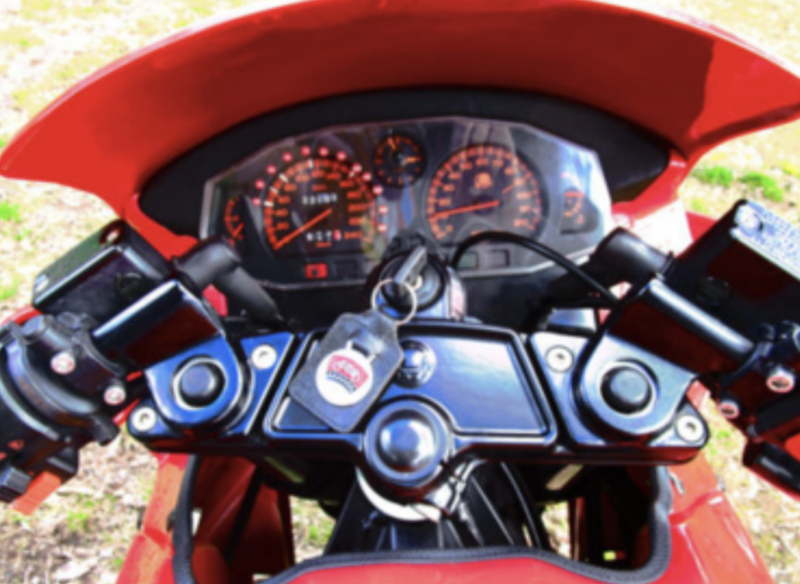 In his own words ” Another time, I admired a Ducati motorbike which was parked at the factory, and three weeks later an identical bike arrived at my home”. Dating from 1989, A6 DUC was first registered (8/10/91) to Nigel Mansell as CMN 101F at his home in Port Erin on the Isle of Man. It was exported to England a few years later and in the bike’s history file is the Treasury Export Certificate confirming Nigel Mansell as the registered owner. 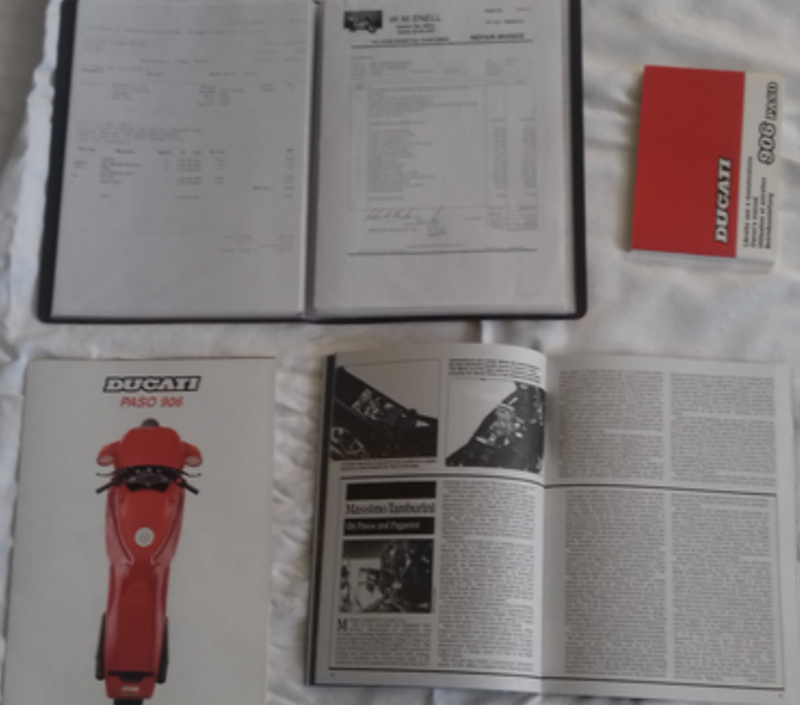 The file also contains the V5, older MoTs, receipts, some Ducati literature, a handbook, an original Paso brochure, some books related to the Paso and similar Ducati models, and a copy of the page from “Mansell. My Autobiography”. The odometer currently indicates approximately 22,000 km .